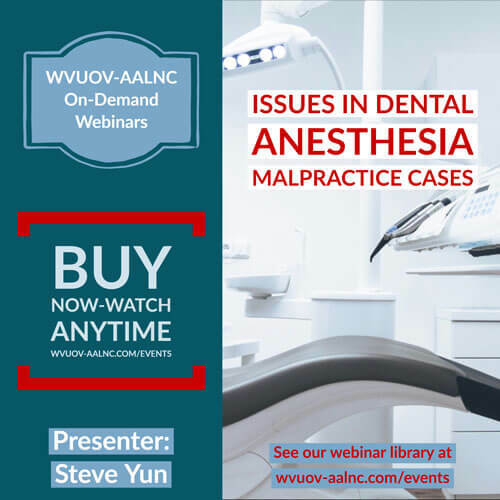 Using real case examples, I will discuss the common issues in dental anesthesia malpractice cases. 3. Discuss common mistakes make in dental anesthesia tragedies.